Russia is interested in developing Chinese investment and cooperation, according to Russian Finance Minister Anton Siluanov. Cooperation has been recently growing, as Western markets are now closed for Russia. “Now we are in a situation when Western markets are closed for us and we are getting closer and closer to joint actions and cooperation with China. 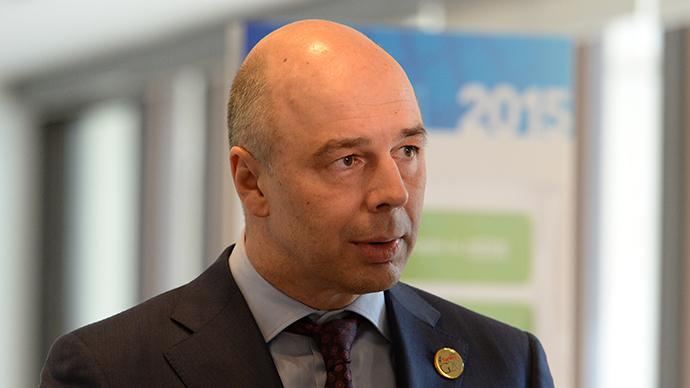 We’re talking about mutual financial actions, not just the possibility of interaction of financial markets, but also attracting Chinese investments into our economy,” Siluanov said on Friday during a lecture in St. Petersburg. The minister supported China’s initiative to create an economic belt known as the ‘Silk Road’ that envisages serious investments in infrastructure projects that will ease trade between China and Europe. “Trade between Asia and Europe runs right through Russia and the creation of conditions for the transit of goods and cargoes may very well boost Russia’s economy. We support the‘Silk Road’initiative so as to set up deeper ties between our countries,” Siluanov said. The minister also talked about Russia’s first high-speed rail line between Moscow and Kazan which is to be extended to China. Last month, Beijing proposed investing $5.2 billion (300 billion rubles) in the project which is expected to cost over $19.7 billion (1 trillion rubles). When operating the train is expected to connect Moscow and Beijing in just 48 hours. Moscow and Beijing have been actively developing cooperation in various areas, notably energy. In September, the two countries signed several ambitious agreements, including a 30-year gas supply contract. China and Russia also decided to create a joint rating agency and to switch to local currencies in trade. Earlier this week, the sides signed a deal to set up a joint $200 million hi-tech fund to develop Russian and Chinese technology.